If you are a little unsteady on your feet but want to remain mobile and active, a walker will provide you with the security you need. It is very important to be assessed for a walker that fits. 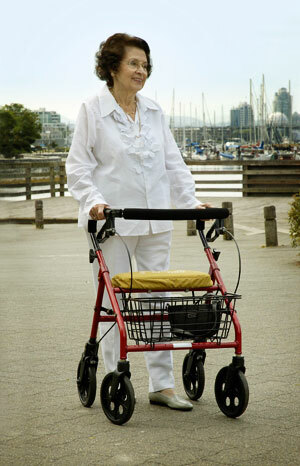 Height, weight, gait, stride and physical limitations all play a part in choosing the right walker. Most walkers fold for easy storage and transport. Basic Walker (no wheels): For those who need that extra little bit of stability indoors. Two Wheel Walker: Allows you to put weight on the walker as you move. 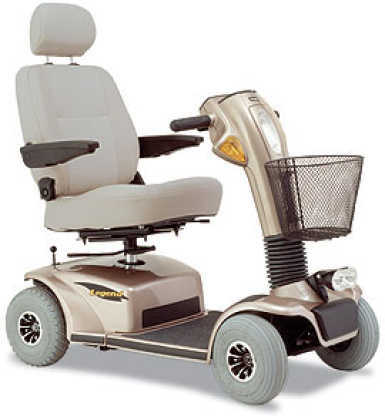 The front legs with wheels allow you to push the walker forward, and the back legs with no wheels prevent the walker from rolling while you are stepping forward. Three Wheel Walker: Easy to use in tight spaces but not as stable as the four wheel models. .Knee Walker: Designed for people who are unable to put weight on one of their feet, as the result of surgery or injury. They normally have four wheels, a handhold, brakes and a knee pad.